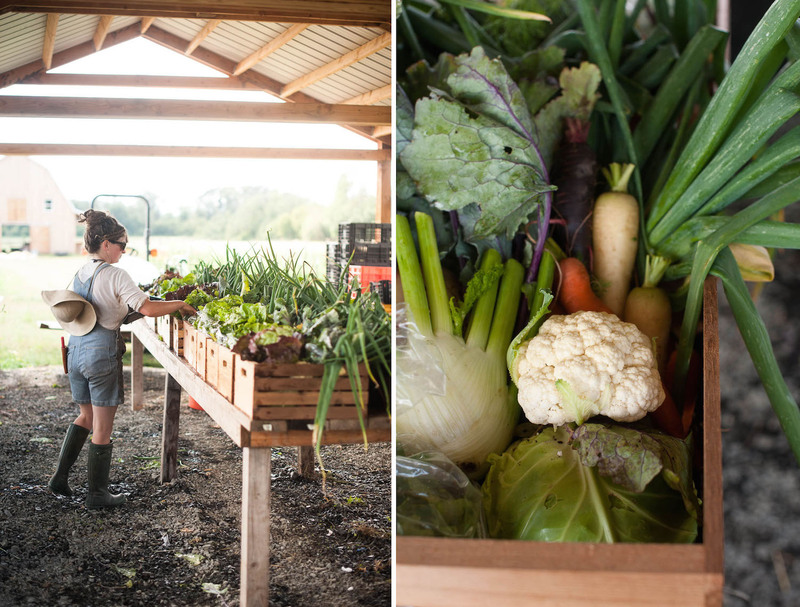 At a Wednesday CSA pick-up at Working Hands Farm in Hillsboro, Oregon, that “imperative to feed people” stood out clearly, just as it had when I observed the farm’s CSA pick-up last year. 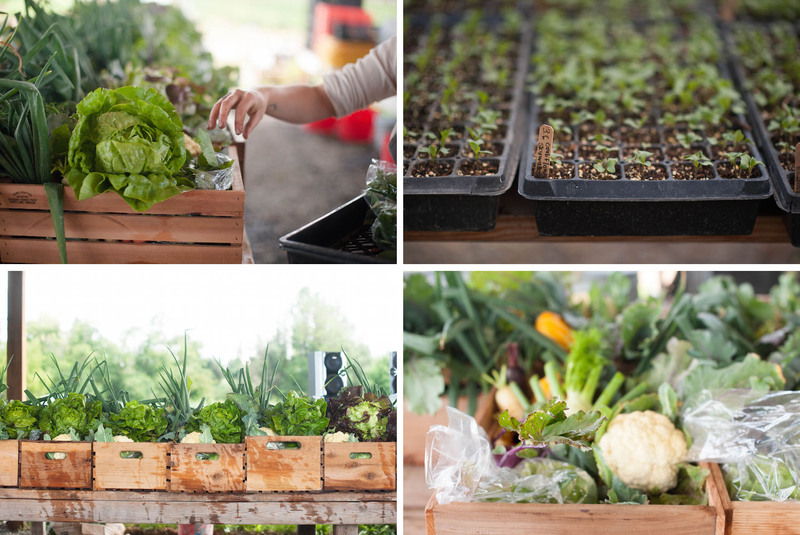 I admired the handmade crates, engraved with the farm’s name and overflowing with vegetables and fruit. These crates rested on tables laid with gingham throw-cloths in front of an “Open” placard. A cooler full of eggs from the ladies of Chateau Poulet sat on the ground, occasionally lifted open by members grabbing a dozen eggs as they returned their empty crates. And in the middle of it all stood farmers Jess Powers and Brian Martin, talking, encouraging, and laughing. I lingered on the sidelines, visiting the ebullient farming couple a year (almost to the day) after I first met them. The visit wasn’t merely to bask in the resplendent goodwill, lush vegetables, and warm sun. 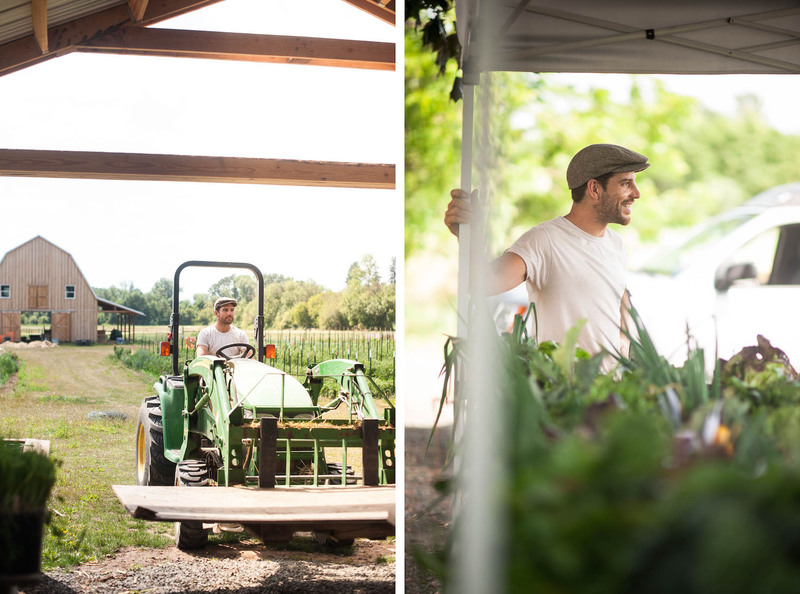 Despite initial appearances of identical interactions, appealing food, and even similar farm clothes worn by Jess and Brian, Working Hands is in many ways a changed farm from what it was a year ago. 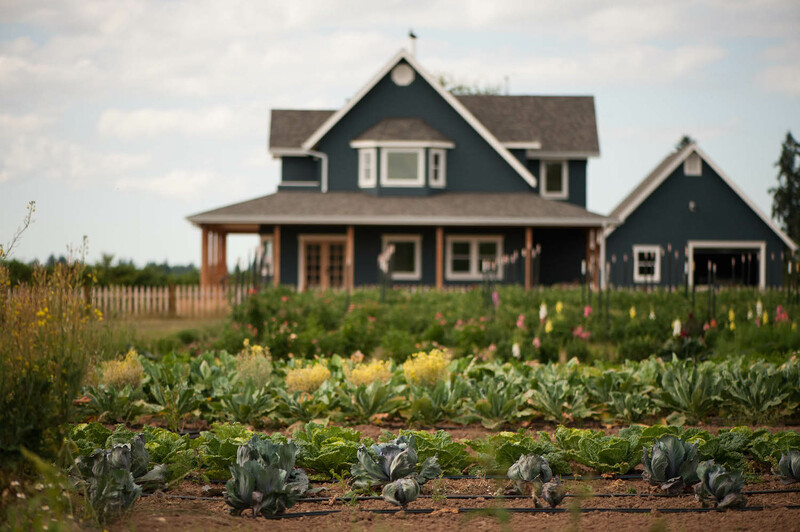 While their farming principles, 25 pound CSA boxes, and many of their steadfast CSA members are just as they were last year, Jess and Brian now grow their vegetable on land several miles down the road from the property I visited last year, the broccoli, onions, and tomatoes harvested next to their very own farmhouse (which they helped to design and build). 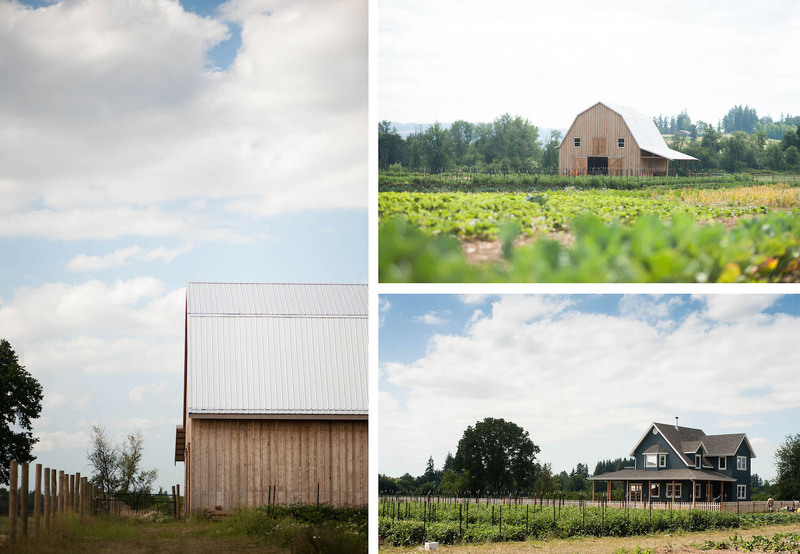 Across from their house and the vegetable plots looms a towering Americana-style barn, along with acres of pasture for their cows and pigs. Not only is the land beautiful and thoughtfully laid out: it’s theirs. 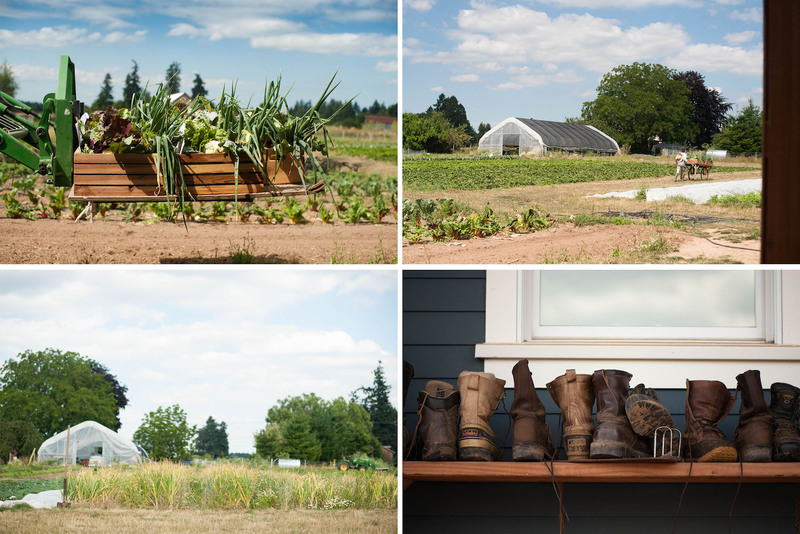 Owning this piece of land that’s just off of Hillsboro’s River Road and nestled close to the Tualatin River has transformed Working Hands in ways that were immediately noticeable. 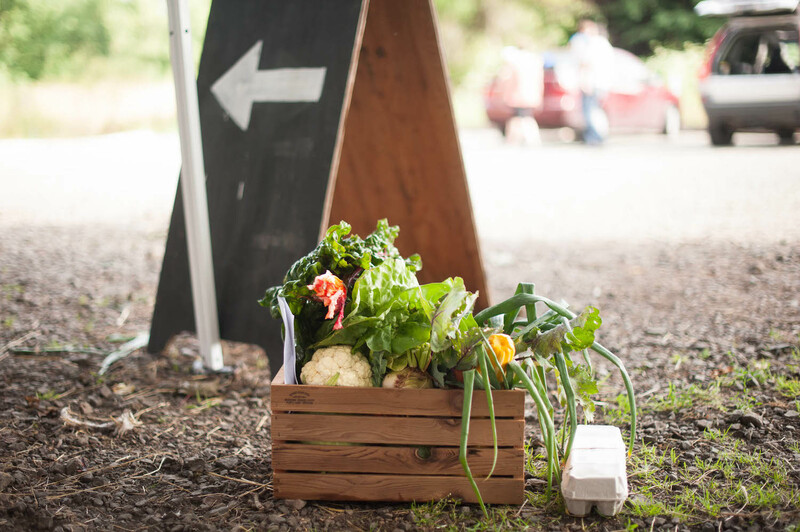 At the CSA pick-up, the farmers were selling meat birds, a new option for their members. At last year’s pick-up spot, a member had to pass the barn housing the chickens, pigs, and cows before collecting his share; now, that same member has a designated spot to collect his share that’s separate from the bulk of the farm and farm animals (except for four adorable goats grazing near the pick-up parking lot, each named after one of Peter Pan’s Lost Boys). 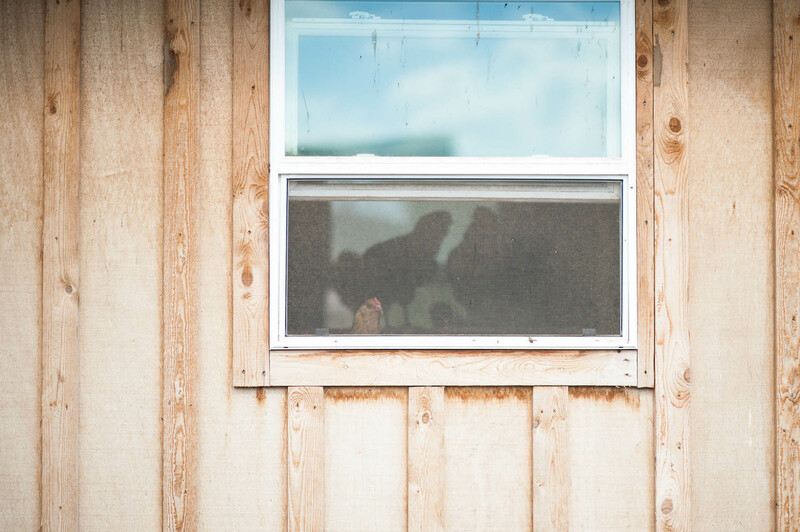 Owning their own land, along with an additional year of farming with each other, has changed the just-married couple in other ways that slowly became apparent through conversation and interaction. Last year, I watched Brian and Jess tend to their plants and community, proud of their giant collards and overstuffed boxes of vegetables. 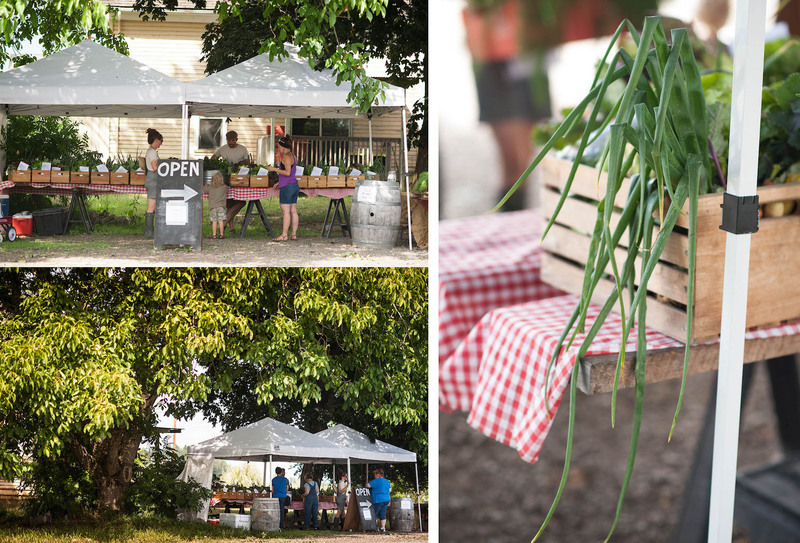 They created a space, rented or not, that allowed families to gather, to eat, and to connect over seasonal food. 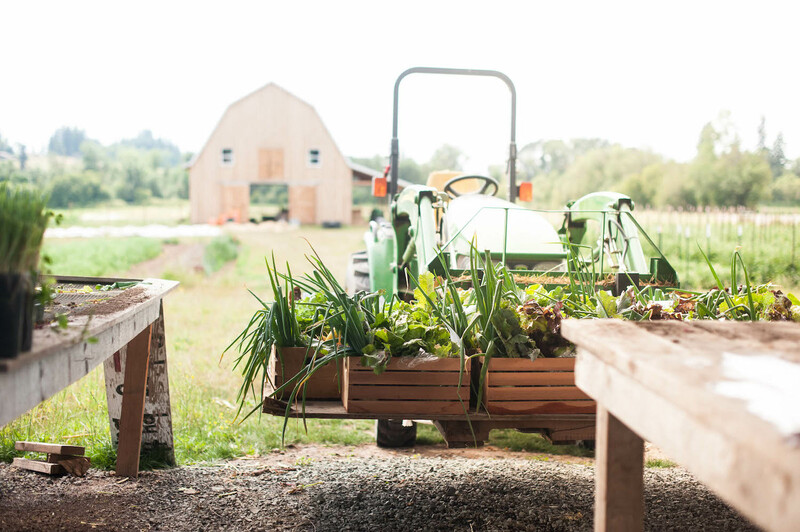 When Jess and Brian moved their farm down the road, laying the literal groundwork of irrigation and electrical lines, they also used the move to shift their style of communication with members and to adopt a more confident and freeing approach to what they grow and raise. As their members have become more comfortable with rutabaga and kohlrabi, rattling off recipes that they’ve recently cooked and eating boxes of food much faster than ever before, Jess and Brian have become increasingly comfortable with their role in their members’ lives and in their products. To buy WHF’s new property, Jess and Brian formed an LLC with their families, putting the threat of their land being snatched away permanently in the past. Each was overtly appreciative of the ongoing support they’ve received from their families, whether financial, verbal, or in the form of labor (like Jess’s dad getting up at 4am to mow the pasture on a recent visit. “He hadn’t even had a cup of coffee yet!”, Jess laughed). 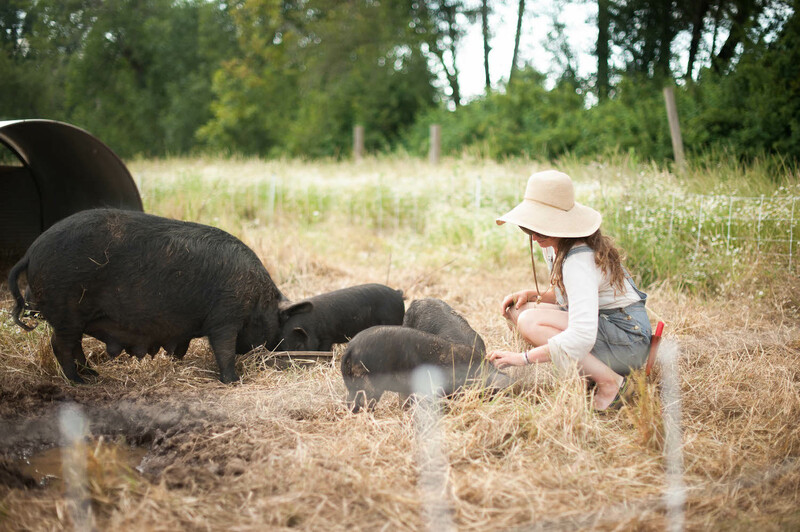 They’re keenly aware that this farm is more than just the two of them. This awareness might add extra pressure – “this farm has to succeed. That could easily be something that keeps you up at night”, Brian soberly mentioned – but also a firm sense of freedom. Jess told me that owning “isn’t really a burden. We’ve adopted a philosophy that Brian said to me along time ago: we get to do this.” She elaborated, “Because it’s ‘ours’, however you want to say that, it feels like we’re taking ownership over it and really running with it." Owning has allowed the couple a chance to think decades ahead instead of just season to season. This longer view effects how they arrange and cultivate the land (including weeding thistles before they go to seed, instead of harvesting carrots around Canadian thistle for the next fifteen years), what they grow and raise, and even communication patterns with members. Brian mentioned that this version of Working Hands Farm feels “more grown up”, both for he and Jess, and for the members. As Jess and Brian push themselves to be better farmers, working 100 hour weeks while battling hotter than normal summer temperatures, they expect their members to hold up their end of the equation. This year Jess decided to change their style of interaction at the CSA pick-up. 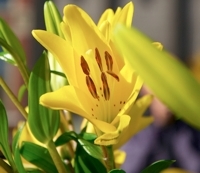 Instead of asking a general “how are you” question, a question with a thousand different answers, the couple now asks direct, pointed questions like “How is the CSA treating you?” and “What are you doing with the food?” The resulting answers lead to collaborative conversations, and these conversations remain firmly rooted in food. Jess and Brian have witnessed members excitedly answer these open ended questions, recounting what they cooked last night or exclaiming that they’ve never tasted better romaine (as Brian joked, the members are like “thank you for these questions, that’s actually why I’m here.”). This more mature way of interacting with their members permeates all forms of communication. 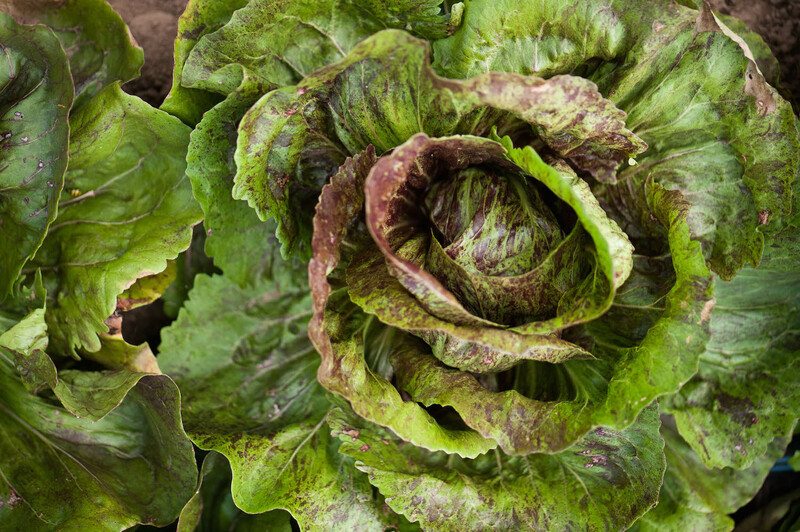 In the third week of their CSA newsletter, Jess provided numerous tips on recipes, food storage, food preservation, and creative ways to integrate the CSA vegetables into daily diets and busy lives. At the end of the letter she wrote, “Each week that you pick up your crate full of bounty we pass the torch to you. We’re a part of each others food journey and we look forward to hearing week to week about what you’re cooking, what was eaten first and what you really enjoyed. It completes our food journey here on the farm to hear and see how the hard work is being utilized and enjoyed!” The members seem game. 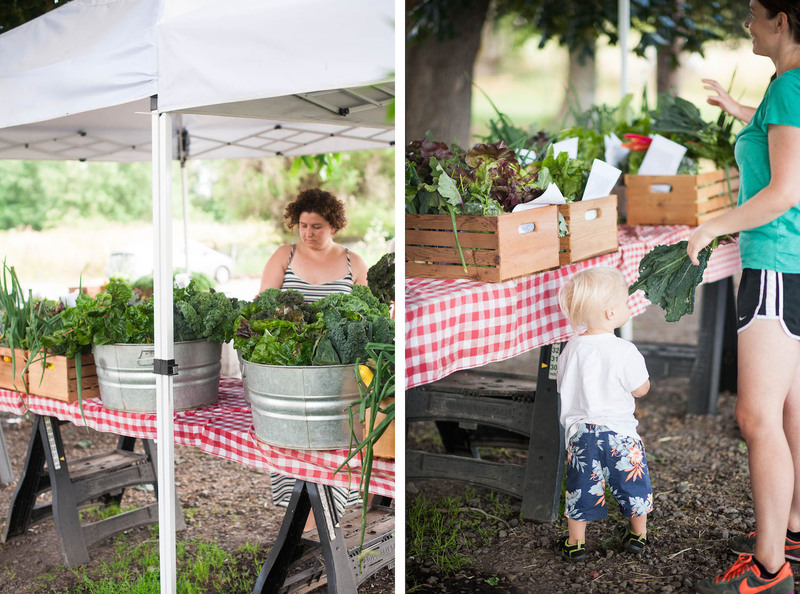 When Brian and Jess placed an order for a CSA cookbook, From Asparagus to Zucchini, 50 members bought a copy. 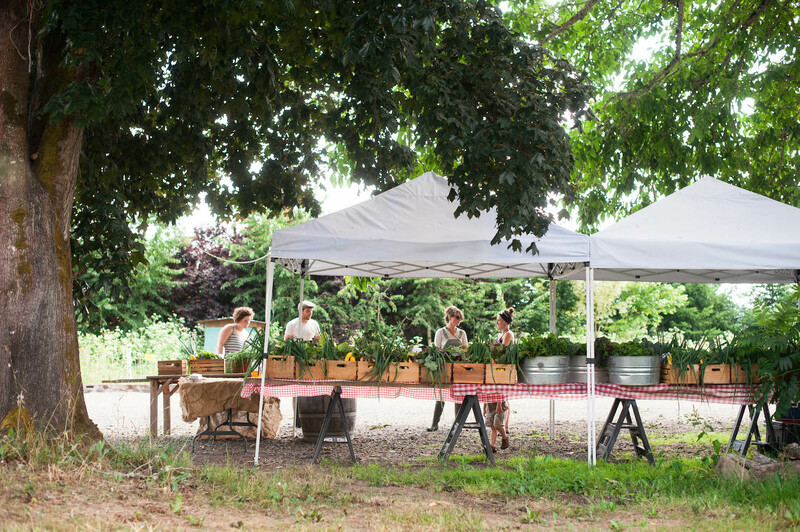 And when they hosted a farm day potluck a few weekends ago to show the members more of the new property and enjoy conversation, nearly 60 members attended. Their grown-up way of communicating has also allowed them to be frank and open on Instagram and Facebook, two outlets not always known for honest and enlightening discussion. Working Hands now has 5500 Instagram followers and 2500 Facebook fans. 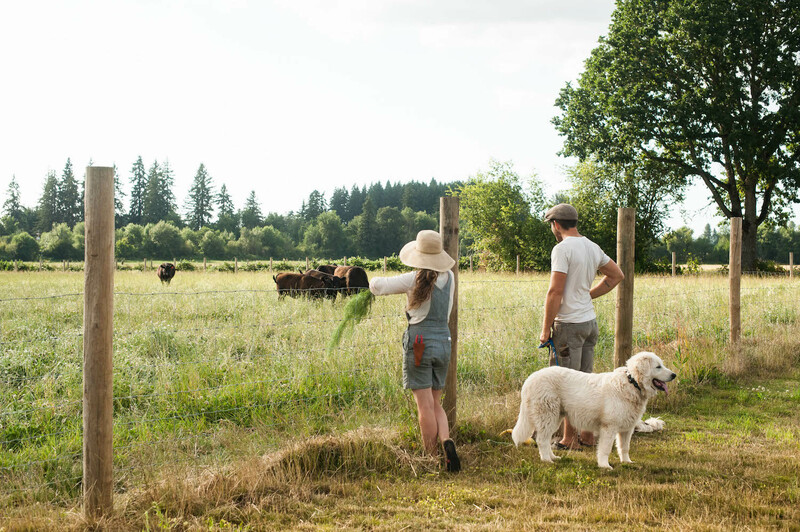 Many follow for the couple’s stellar photography or because they harbor their own pastoral dreams, but after a recent photo and subsequent discussion went viral, I have a feeling more might tune in for Brian and Jess’ honest look on the realities of farming. This particular discussion related to Working Hands’ animal products; in addition to vegetables, Working Hands is home to cows, pigs, turkeys, egg layers and meat birds. 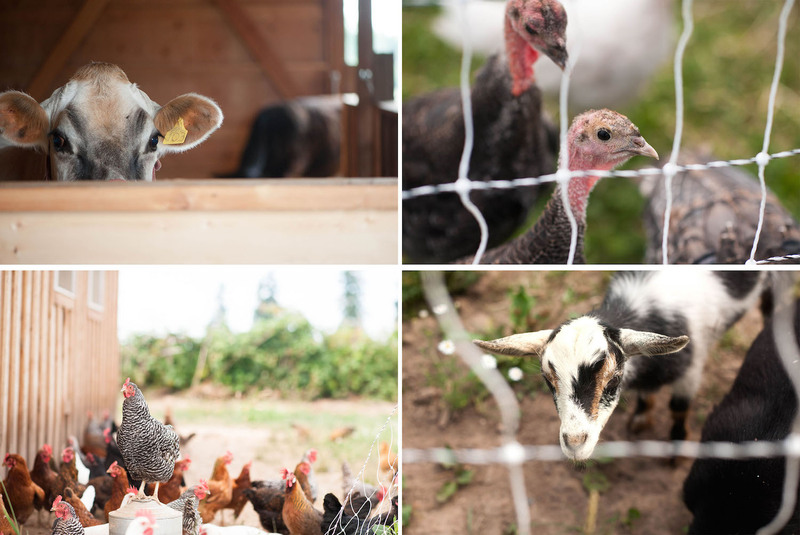 They use the animals to graze the pasture and add fertility to the farm, as well as to provide members with a source of ethically raised meat that’s impossible to find at the grocery store. 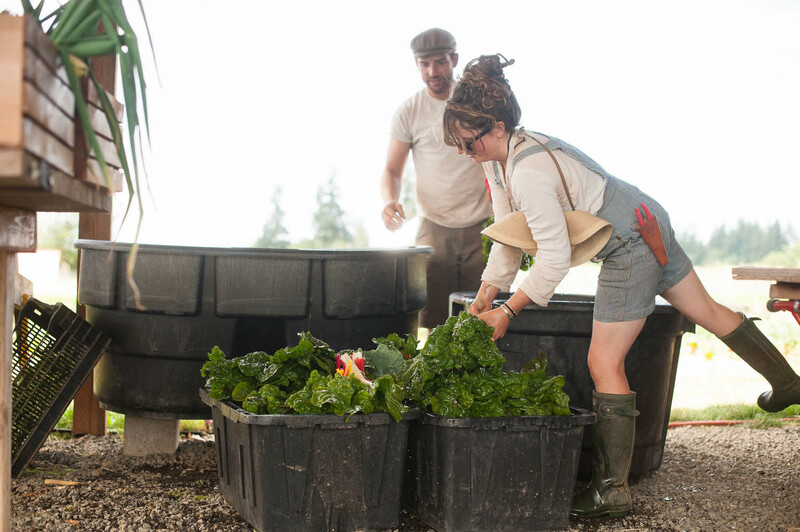 Jess and Brian both believe that their relationships with the animals are a vital part of Working Hands Farm and provide the couple with an visceral pleasure they can’t replicate with vegetables. A few months ago, they posted a picture of the “biglets” (their affectionate name for their pigs) several days before they were going to take them to a local slaughterhouse. Someone commented on the post, “can we donate to save the pigs so we don’t have to slaughter them?” That comment – perhaps well-meaning, but ultimately tone-deaf – initiated a series of follow up comments, prompting Brian to write an essay on why exactly Working Hands raises animals for meat. Hundreds of comments followed his essay, with every perspective flooding in, from vegetarians and vegans to CAFO representatives. Eventually the post reached an estimated 80,000 people. 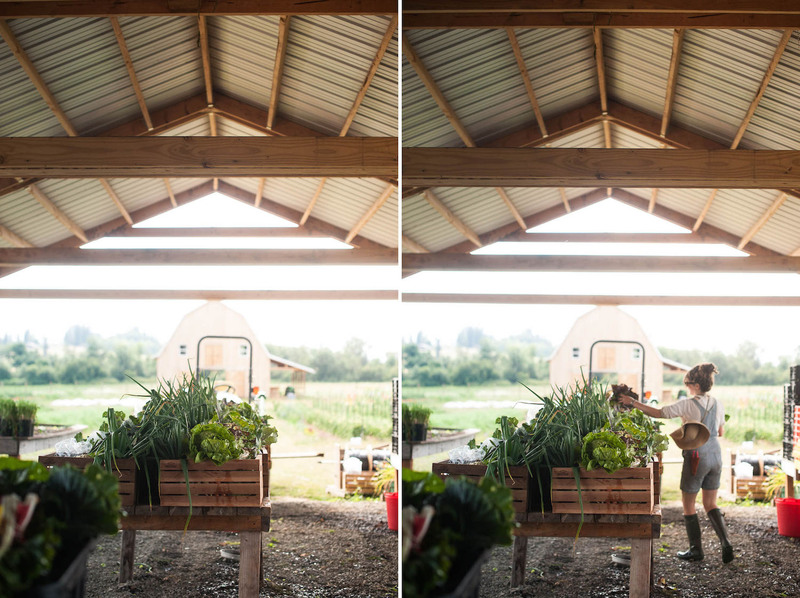 Jess and Brian want to run a small farm, and though they could “easily do a 200 person CSA and just hire a crew of people and be managers,” they didn’t become farmers to manage other farmers. Instead, they plan to be farmers for years to come – and to do that, they have to consider both the viability of the land and the stability of their finances. They view livestock as part of their farm’s longevity. “They’re great grazers, great [for] pasture management, [provide] manure we can use – input that come back into the farm,” Brian concluded. Though that online discussion has since quieted down, it’s still at the forefront of Jess and Brian’s minds as they think about their next years as farmers. Jess commented that “it’s funny – the CSA members are maturing, their palates are changing, they’re getting more excited, they’re consuming boxes faster. 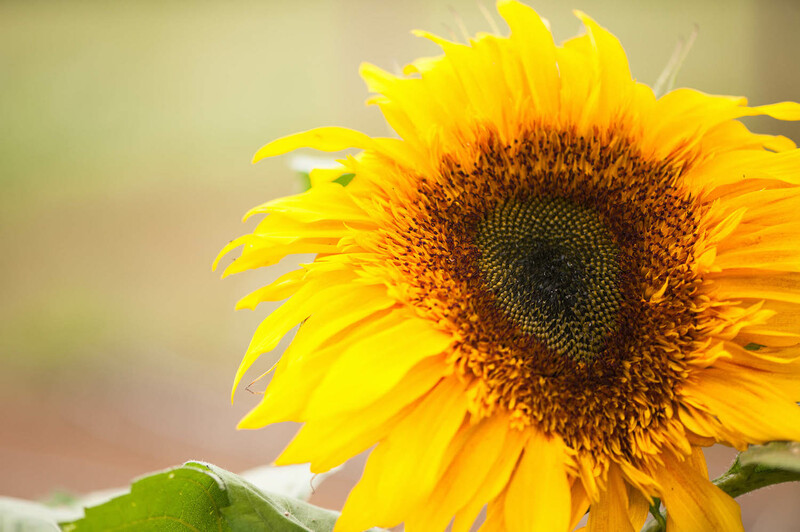 And we’re changing – taking on different projects, growing differently for our members.” This “growing differently” not only includes how they communicate, but also extends to greater flexibility in what they grow, how they price their food, and a greater understanding of their role in their members’ lives. 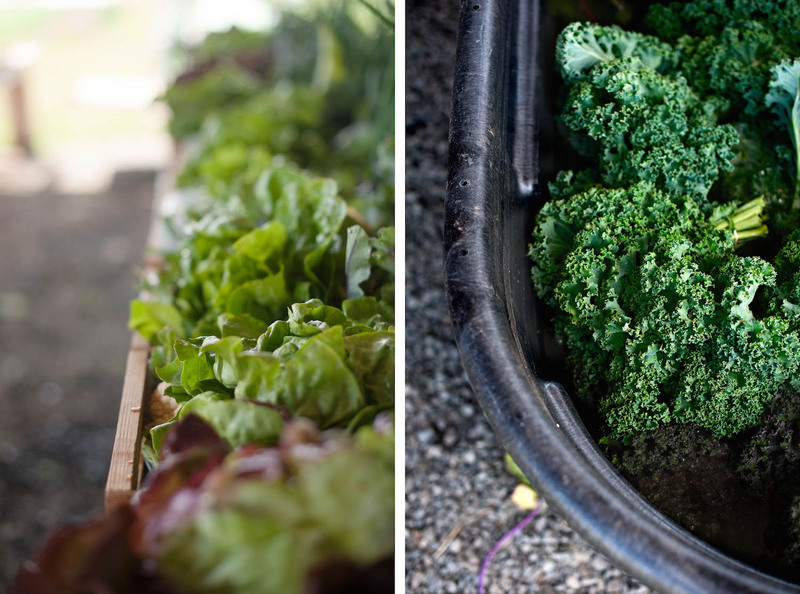 When it comes to meat, the farmers know that many of their members will buy meat to supplement their box of vegetables. “As we take these steps forward with our community, some people are going to eat meat, [and the question is] where are they going to buy that meat? 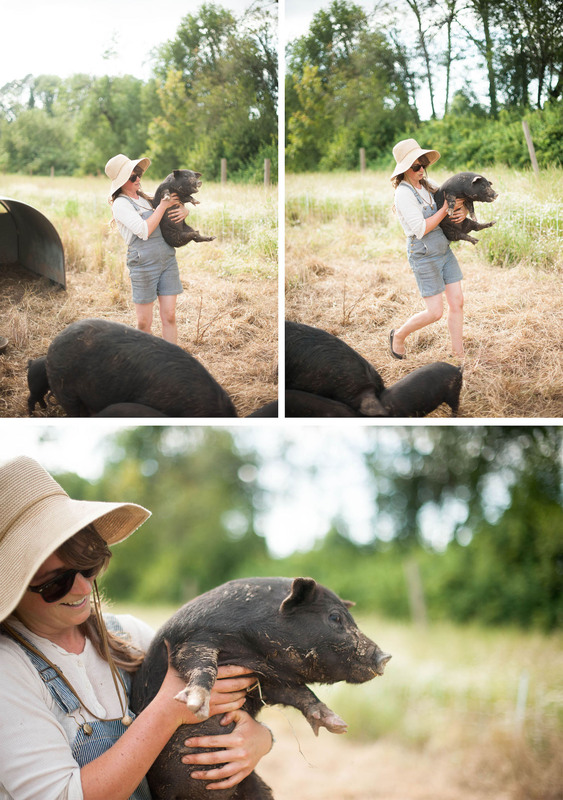 ...I can’t take that option away from folks when they could be buying pastured raised meat – we can offer animals [from Working Hands Farm] that only have one freaking bad day in their whole life. It’s an amazing gift,” Brian shared. As the Working Hands community enters week 12 of their mutual food journey, Jess and Brian continue to reassess and evaluate, with complicated discussions surrounding loss leaders, budgets, slaughterhouses, animal rearing in general, and how many acres of vegetables they can conceivably manage by themselves. They’re willing to adapt, and have already done so, but this flexibility is grounded in steadfast principles, the innate belief that they’ll spend their lifetime learning, and a liberating sense of freedom and maturity. I didn’t have an eloquent answer then, and I don’t now. But I can speak to what I’ve seen at Working Hands. Every relationship in their lives – with each other, with their land, with their animals, and with their community – is anchored by the farm. They cultivate the land, at mercy to seasonal fluctuations. They raise piglets from birth, closing the gap when they take them to slaughter. 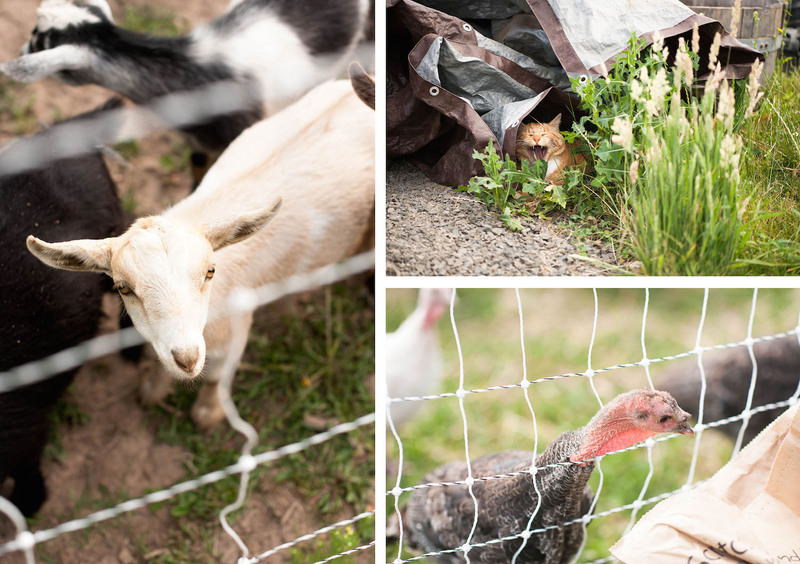 They feed, nurture, and problem solve for their animals, vegetables, and members. They do this together. They do this together every day. If Jess and Brian weren’t emotional about it, I’d be concerned. 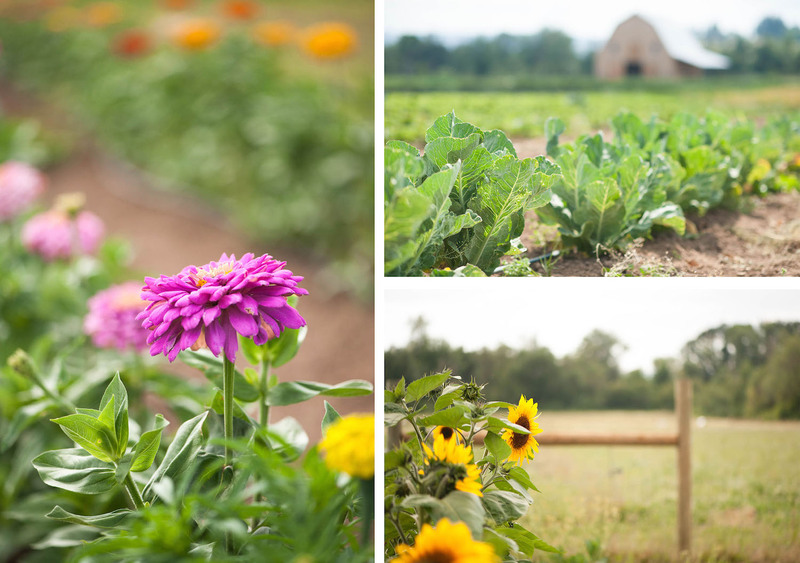 Last weekend, I watched Jess and Brian marry each other beside their beautiful barn that had cost too much money to build, next to acres of flowers and vegetables and in viewing distance of their cows and pigs and farmhouse. As they solidified their future by marrying each other on a farm they own together, I thought, how could you approach this enterprise – this life – with only stoicism? Close to the end of The Third Plate, Barber concludes that “a sustained food system is more than a set of farming practices and more than an attitude toward food production and consumption. 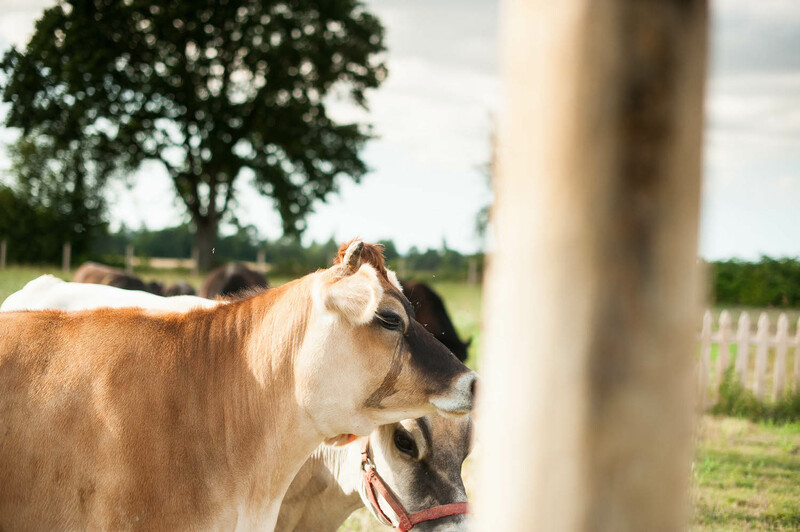 It’s a culture, too.” Jess and Brian continue to create a culture around their farm that will serve them well as they navigate life together, make changes to their products, see new members join and old members leave. Working Hands will thrive because of their steadfast belief in each other and because members have just as much buy-in as the farmers do. The obvious and subtle changes I saw at Working Hands don’t mean that Jess and Brian are drastically different farmers or people than last year – in fact, I commented that they looked like they hadn’t aged a day since I last saw them. Rather, the changes encapsulate a growing maturity in each of them, maturity that peeks out during their conversations with each other and members, during their discussions around crop planning and farm layout, in how they manage their animals and the land, and plan for the future. A vibrant farm (or you could argue, a vibrant life) isn’t one that stays glued to the past, rehashing the glory days or resting on laurels. Jess and Brian run an even more connected and downright beautiful farm this year because they’ve successfully toed the line between flexibility and stability, navigating small scale organic farming and animal husbandry in a manner can’t help but stir a feeling of nostalgia and hope in my heart, and perhaps their members’ hearts too.